Thanks to the complexity of US tax code and the nuances of various Social Security (SS) benefits, volumes have been written about how to “maximize” Social Security benefits. There are numerous variables that could impact decisions around when and how to take benefits, such as spousal benefits, life expectancy, retirement age from a full-time job, delaying or accelerating the start of benefits from full retirement age, and even the full Social Security retirement age itself, which currently changes depending on year of birth and could change even more in the future to preserve payouts from the system. Ultimately though, the choices boil down to two forms of maximization: obtaining the largest possible payouts from the Social Security Administration, or preserving the largest amount of wealth (as measured by net worth) over a client’s lifetime. The two are not always mutually exclusive – sometimes the largest payouts from SS also preserve the largest amount of wealth for the individual. However, the two strategies can diverge, especially when a client has a large proportion of their wealth in tax deferred accounts. In this blog post, we’ll take a look at a couple of scenarios, the results of maximizing either for benefit payouts or for net worth in the Advizr platform, and how you as the planner could interpret them for the client. In our first case, Jamie Boomer is 57 years old, unmarried, hopes to retire at age 65 on $75,000/year, and expects to live until age 90. Jamie’s SS full retirement age (FRA) is 67 and their Primary Insurance Amount (PIA), which is the amount they would receive at FRA, is $2,300/month. They have $800,000 in tax deferred accounts, $300,000 in tax-free Roth accounts, and $200,000 in taxable brokerage accounts. Since the majority of their accounts are tax deferred, Jamie would be able to preserve more total wealth over their lifetime if they start taking SS benefits early, so they could allow the tax deferral in those accounts to continue to compound on itself before taking distributions. In a second case, Jamie is still 57 today, unmarried, with the same SS PIA, but now hopes to retire at age 70 on $75,000/year, and expects to live only until age 83. They have all $1.5 million of their savings in tax free Roth accounts. Now, to maximize their lifetime SS benefits, they would have to start collecting benefits at age 68, and to maximize their total net worth, they would collect at age 70. As you can see, in both scenarios the client ends the plan with a higher net worth when clicking on the Maximize Net Worth button in the Social Security section of the What Ifs. 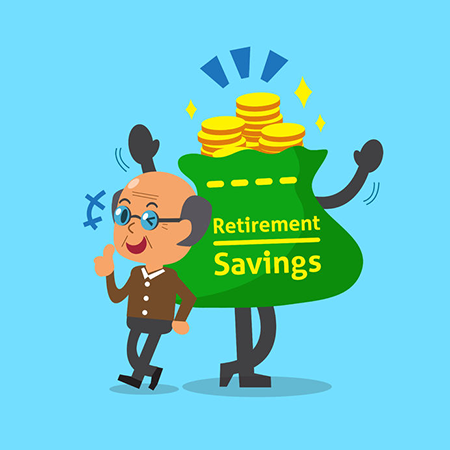 However, the starting age in order to maximize SS benefits is different in each one depending on several variables, such as the types of accounts in which assets are held, the target retirement age, and the life expectancy age. Our platform simplifies the analysis of SS benefits, including a recommended starting age and whether or not to take survivor or spousal benefits, by automatically comparing either total benefits a client could receive from the SSA or the total net worth they could generate over the life of their plan when considering all other variables in the plan. Some clients might want to “sock it to the government” and get back as much as possible in benefits from the SSA, so to them, this is “maximizing” their SS benefits. Most of the time, though, your clients will have a better plan outcome and a higher likelihood of success by maximizing for net worth. If you would like to learn more about our system, subscribe to our newsletter to the right, and if you would like to give our platform a try, start your two week trial here.